Working in partnership with The Magenta Project, Lisa Blair, the first woman to sail solo around Antarctica, raced in the 2017 Rolex Sydney to Hobart Yacht Race with an all-female crew. It has been sixteen years since there was an all-female crew competing in this iconic Australian yacht race highlighting the need for such a campaign. Lisa and The Magenta Project aim for this race was to encourage more women to sail and to continue to promote Lisa's positive environmental message Climate Action Now. Lisa's yacht 'Climate Action Now' raced with eight crew taking four experienced sailors and partnering them with four emerging sailors to offer a unique opportunity to mentor young woman in the sailing industry. To learn more about the crew click HERE. The Magenta Project aims to accelerate women in sailing and the marine industry by creating pathways, empowering leadership and driving change in the sport. Our objectives are to create pathways enabling women to acquire the training and skills needed to narrow the gender the gap. By celebrating the accomplishments of extraordinary women across the globe we aim to inspire the future generations and build a network of passionate women within the sport and the industry who collaborate together to build support to create opportunities and advocate change. 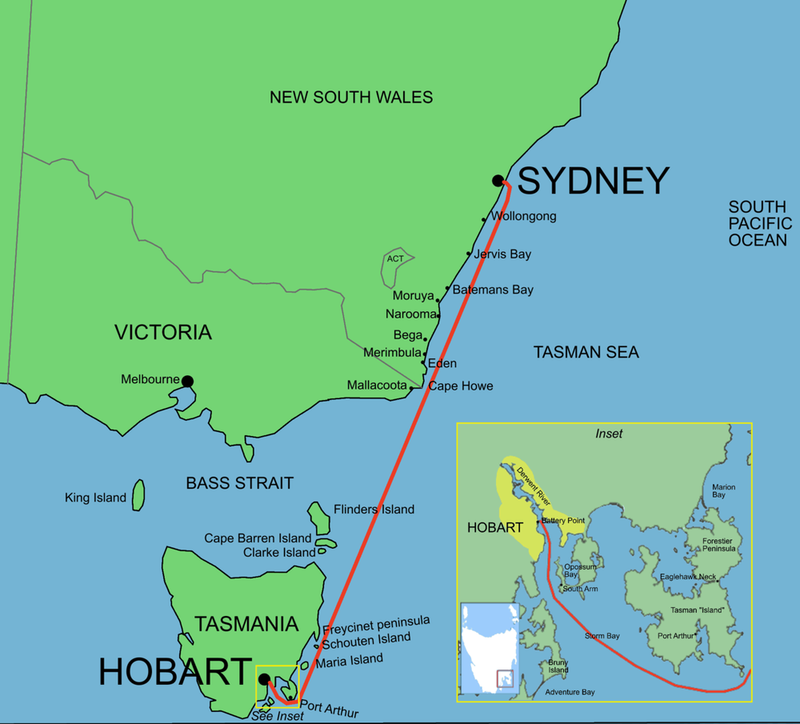 The Rolex Sydney Hobart is a 628 nm yacht race that is described as one of the most grueling ocean races in the world. The annual race begins in Sydney Harbour on Boxing Day and finishes in Hobart. Each year thousands line Sydney Harbour and form farewell flotillas to cheer the departing yachties as they charge through Sydney Heads before turning south, knowing they are casting their fate to the might of the Great Southern Ocean and the winds of the Roaring Forties. Days later, in Hobart, the excitement builds as news of who will be the first boat to arrive comes through. Be part of the scene at one of the world's great blue water classics that has been thrilling Australian's since 1945, and the first to welcome the brave and weary competitors as they return to dry land at the Hobart Race Village on Constitution Dock, December 27th- 31st.